A decoder is a device which does the reverse of an encoder, undoing the encoding so that the original information can be retrieved. The same method used to encode is usually just reversed in order to decode. In digital electronics, a decoder can take the form of a multiple-input, multiple-output logic circuit that converts coded inputs into coded outputs, where the input and output codes are different. e.g. n-to-2n, binary-coded decimal decoders. Enable inputs must be on for the decoder to function, otherwise its outputs assume a single "disabled" output code word. Decoding is necessary in applications such as data multiplexing, 7 segment display and memory address decoding. 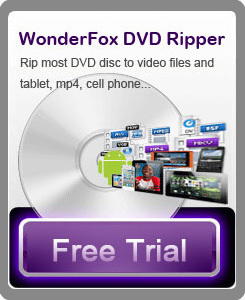 HD Video Converter Factory Pro; it is powerful video conversion software. The software supports to convert over 150 video formats with fast conversion speed and high video quality. It's really a well one.